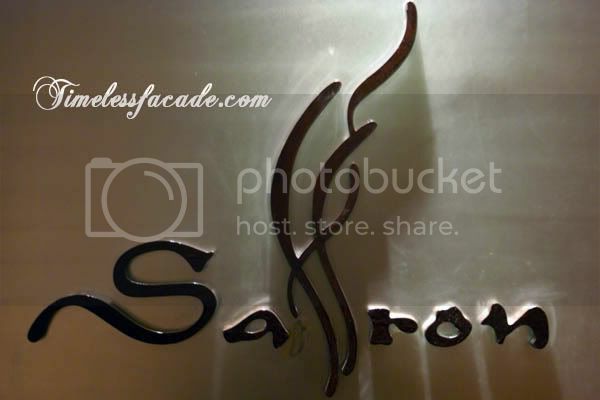 Thought I would try out some "higher end" Thai food and being lazy to travel, I opted for the Thai restaurant at my hotel - Saffron, which has made a name for itself for its contemporary Thai food. Probably the only thing Saffron can boast about, interior wise, is its stunning view from the 52nd story of Banyan Tree, which overlooks the Silom area (the central business district of Bangkok). One thing about the place that really irks me is the chair, which has such low side and back rests that its uncomfortable. Both appetisers came complimentary and the warm and crisp rice crispies were a great way to start off the meal. 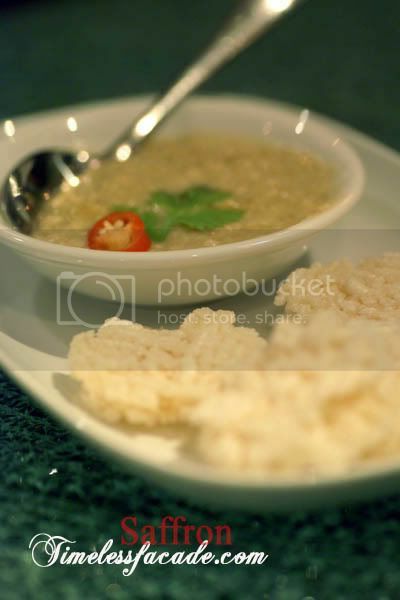 Dipping them in the chicken and shrimp paste gave rise to a nice snack that was mildy spicy and sweet with a strong coconut milk aftertaste. I didn't think too much of the deep fried corn though, which was something new to me. But aside from the crunchy texture and the taste of sweet and sour sauce, I could quite make out any other flavours. 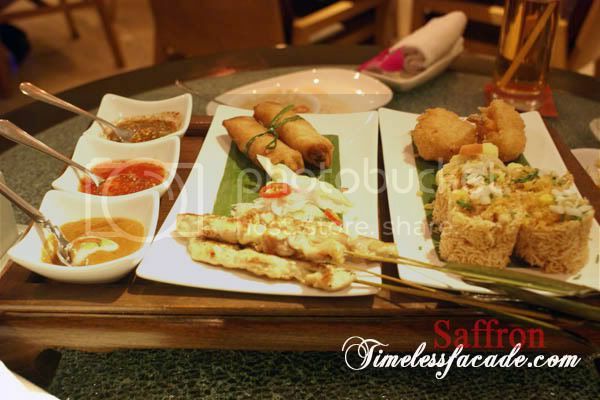 Its billed as the best way to try out what Saffron has to offer without busting your wallet or waistline - tasting portions are served and it is good for 2 pax. But in all honesty, I thought that it could have better. Granted, the prawn cakes were tasty without coming across as overly oily, but the other appetisers faltered somewhat. The satay was a little too tough and came across as flat. Thank god for the peanut sauce! The crispy noodles were a joy to chew on but I found it overly sweet. As for the spring rolls, the use of basil in them made it rather intriguing. It got rather spicy after a few mouthfuls with a discernible sourish tinge. Nice if you like basil. We were offered a choice for the level of spiciness. Namely, mild, medium or spicy. Opting to err on the side of caution, we went for the medium, which turned out to be a wrong move. The milky soup wasn't spicy and thats coming from someone whose tolerance level is remarkably low aka me. The lemongrass taste was also particularly strong with an accompanying sourish aftertaste. 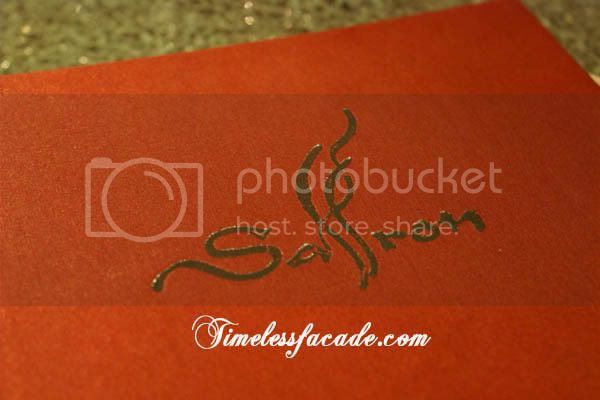 One of my favourite Thai dishes for its simplicity and myraid of flavours, Saffron's rendition of the ubiquitous Phad Thai was starkly different from what I had been exposed to. 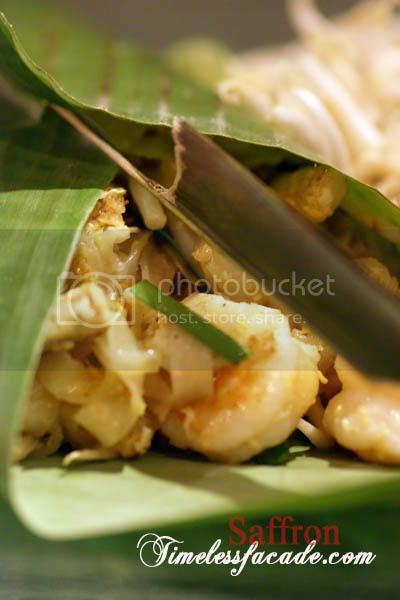 The whole dish reminded me uncannily of char kway teow (fried flat noodles) but was surprisingly light on the flavours. There was an addition of egg as well and the whole dish was light, sweet and dry. Only complaint I have was that the noodles tended to clump together. 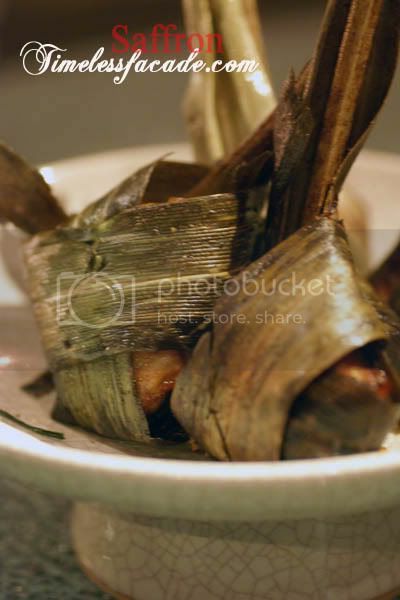 Commonly known as pandan chicken, this dish didn't come across as too oily or fatty which were definite plus points. The chicken was well marinated with the flavours permeating through with every bite. Complementing it was the marginally faint trace of pandan aftertaste. 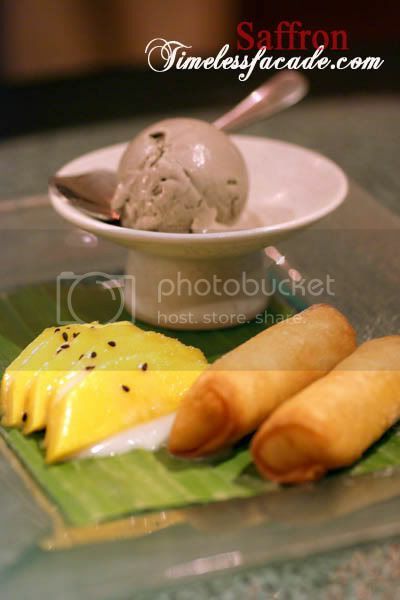 Another of Saffron's signature dish, the sticky rice spring roll was as its name suggests, sticky rice topped with a thin layer of mango slices and wrapped in spring roll skin before deep frying. The end result? Warm and sweet rice amidst a layer of crispy spring roll skin. 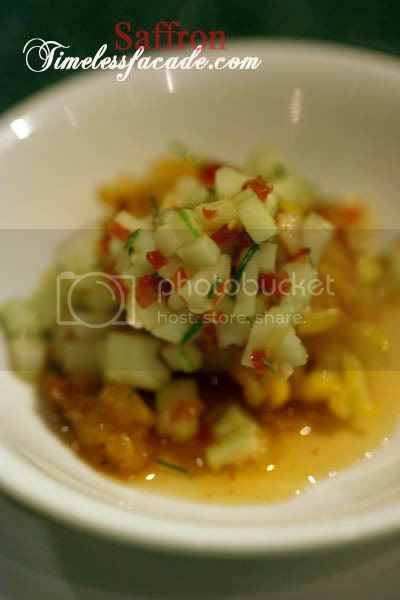 The fresh mangoes enhanced the natural sweetness when eaten together. However, give me the original mango sticky rice anyday. 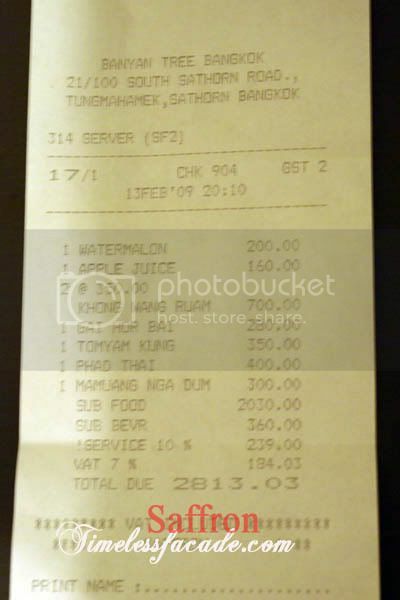 It worked out to be about $125 for 2 pax for a simple Thai dinner, which is certainly expensive. The dishes are generally decent but none fall anywhere near the outstanding category. So much for its fame. 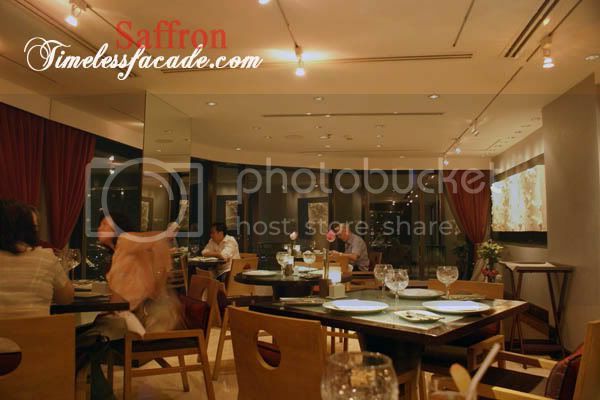 I must commend Saffron for its excellent service though. 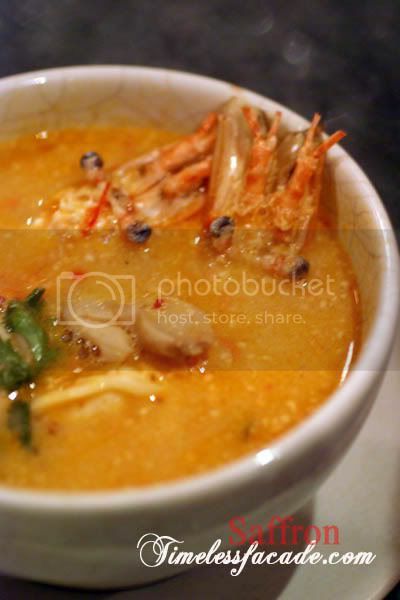 For more economical Thai food restaurant but with good homemade-style thai food (that is as satisfying if not better than high class restaurant), try Tongue Thai at 18-20 Charoen Krung Soi 38, just 10 min cab ride from Banyan tree. Buzzy: My original intention was to go Celadon, but too lazy especially since I had just gotten off the flight.. bad move though. 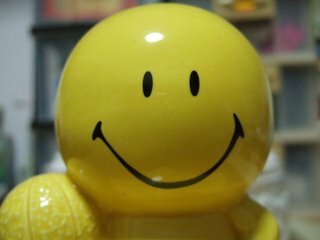 By the way, thanks for the recommendation!